The bee population is in serious decline. Scientists cite three main reasons: the decline in flower rich habitat, the spread of bee diseases, and some argue the use of pesticides. But they need more data to find out more about what is happening to bee populations. 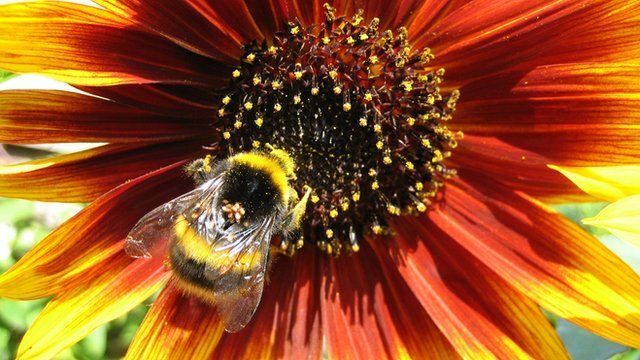 A team at the University of Sussex has been researching the cause of the decline of the UK's bees. Scientists have set up Buzz Club, designed to encourage the public to collect data about many bee species and other pollinators nationwide. One of the projects asks members to put pan traps in their gardens to capture insects for analysis in the laboratory. It is hoped Buzz Club members will help conservation and efforts to help save bee species. Inside Out is on BBC One South East on Monday, 14 September at 19:30 BST and nationwide for 30 days on the iPlayer thereafter.